Posted in: Book Review, Books by Tom Carroll, Enlightenment, Posts by Author, Religion, Spirituality, Transformational Spiritual Practice. Posted in: Articles, Enlightenment, Posts by Author, Religion, Spirituality, Spirituality/Religion, Tom Carroll, Transformational Spiritual Practice. Late one rainy afternoon in the parking lot of my bank I dropped a gold nugget. It had been in a wooden box with several old pieces of jewelry. Rings, one raw nugget and a nugget studded stick pen. There were also tie clasps and cuff links from another era and an assortment of broken chains and other bits and pieces, some solid and others gold plated. They were things that I had no use for but which still held sentimental value and with the rising price of the metal I’d decided to put them all in a safe place. Posted in: Articles, Enlightenment, Love, Posts by Author, Religion, Spirituality, Spirituality/Religion, Tom Carroll, Transformational Spiritual Practice, Travel. “Open your heart,” he said, at the same time using both hands to pull from the center of his chest – as if pulling ribs to expose – to “open” his heart. I watch unmoved by the words and gesticulated reminder of Hanuman – mythological Hindu deity who rips his chest open to reveal Lord Krishna seated in the mystical heart. Posted in: Articles, Love, Posts by Author, Religion, Spirituality, Spirituality/Religion, Tom Carroll. I beg your pardon, if I’ve I dropped my fork. Smile with me please, as my feet stumble and I trip over a word and miss when reaching for a thought! What follows is a story and the same story revised, such that you may have heard parts before. Together, they leave the reader with a mixture of feelings, depending upon your point of view – your own thoughts and actions. Posted in: Articles, FIlm Review, Films, Israel, Israeli Arab Conflict, Posts by Author, Religion, Tom Carroll, Travel. Posted in: Articles, Enlightenment, Integral Psychology, Integral Spirituality, Love, Posts by Author, Religion, Spirituality, Spirituality/Religion, Tom Carroll, Transformational Spiritual Practice, Travel. Posted in: Enlightenment, Integral Psychology, Integral Studies, Love, New Age, Posts by Author, Religion, Spirituality, Spirituality/Religion, Tom Carroll, Travel. Well, it’s Valentine’s Day. Couples, hopeful suitors, friends and family members are professing and accepting expressions of love. In each case love means something different. There is so much packed into the word, the practice and the concept of love that we’ll never begin to see anything close to its meaning if we don’t take it out beyond our everyday, human sized understanding. In a previous article posted here and titled “Loves Got a Hold on You!, Love was seen to be, not just universal. Possibly much more startling, the idea was introduced that it is a Universe pervading, fifth force like gravity, responsible for self organization of the material and living worlds. So let’s look from a place approximating that altitude again. 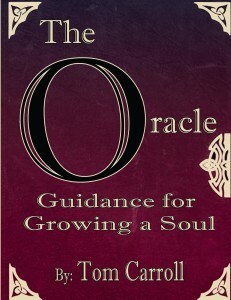 Posted in: Religion, Spirituality, Spirituality/Religion, Tom Carroll. When spiritual and religious authors write that “God is love,” they often use the Greek word, Agape. Agape is safe. It suggests unconditional love, either from God or a really spectacular friend! Toss in a couple more Greek words for love, philia and storge, and we’re still safe. A friend for a friend and a mother’s love for a child. All three of these words are under control – our control. Just the way we like it. Posted in: New Age, Religion, Spirituality, Spirituality/Religion, Tom Carroll. Posted in: Posts by Author, Religion, Spirituality, Spirituality/Religion, Tom Carroll.